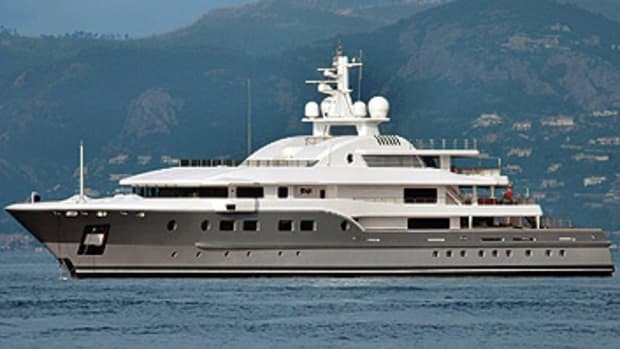 If we had a dollar for each time a gossip sheet or entertainment magazine showed pictures of a celebrity aboard “his yacht” or “her yacht,” we’d own one of these ourselves. So we had to laugh when British rag OK! featured Sean “P Diddy” Combs on its cover in August 2005, posing aboard Christina O beneath the cover blurb “World Exclusive/Outrageous Interview and Pics/On Diddy’s $150M Yacht.” Sorry, kids, but the yacht actually belongs to a group of Irish investors as well as John Paul Papanicolau, a Greek businessman. Those same Irish investors got some unwanted publicity in recent months for claiming the restoration expenses against their income, thereby enjoying tax breaks.